Ace (Goldstein) Abbott played on outstanding college teams for Nat Holman at CCNY in the mid-1930s. 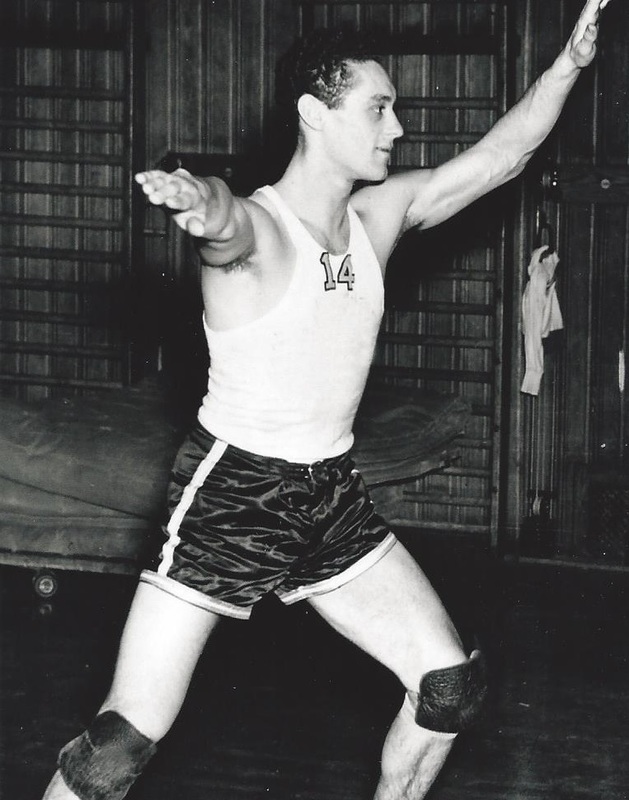 Goldstein was a solid colligate performer, but he played in the shadow of All-American teammate Bernie Fleigel. Goldstein’s pro career followed a similar pattern. In 1939-39, his rookie season, he quickly established himself as a starter on the ABL Jersey Reds. The team’s flashy stars Phil Rabin and Moe Sphan won most of the accolades, but Goldstein’s contributions were equally valuable. Mentally tough and physically strong, Goldstein remained one of the ABL’s best players for the next decade. He was a fine shooter, aggressive rebounder and tenacious defender. Prior to the 1943-44 season, Goldstein changed his last name to Abbott. Early in the 1945-46 Season, he was traded from Trenton to Baltimore. The Bullets had staggered out of the gate with only two wins in their first six games. Abbot’s arrival in Baltimore brought an increase in intensity and aggressiveness to the Bullets. Baltimore won twenty games and lost only nine during the remainder of the season and won the ABL title.